Recently, magnesium (Mg) and its alloys have attracted more attention because of their biodegradability and fascinating mechanical properties in the medical field. However, their low corrosion resistance and high degradability in the body have a great effect on mechanical stability and cytocompatibility, which hinders its clinical applications. 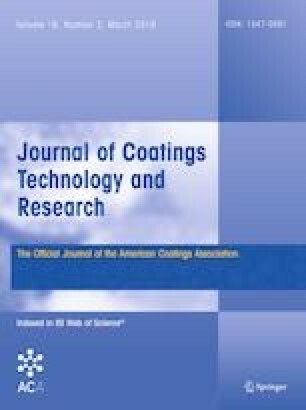 Therefore, here we introduce a bifunctional composite coating composed of polycaprolactone and synthesized hydroxyapatite nanoparticles (HA-NPs) loaded with simvastatin deposited on the AZ31 alloy via electrospinning technique. The synthesized HA-NPs and composite nanofibers layer were characterized using TEM, FE-SEM, FTIR, and XRD to understand the physiochemical properties of the composite nanofibers compared to pristine polymer and bare alloy. Corrosion resistance was evaluated electrochemically using potentiodynamic polarization and EIS measurements, and biodegradability was evaluated in terms of pH and Mg ions release in SBF solution. The as-prepared coating was found to retard the corrosion and increased the osteocompatibility as resulted in cell culture test, a higher cell attachment and proliferation on the implant biointerface, in addition to releasing simvastatin in a controlled platform. This paper was supported by a grant from the Basic Science Research Program through the National Research Foundation of Korea (NRF) by Ministry of Education, Science and Technology (Project No. 2016R1A2A2A07005160) and also partially supported by the program for fostering next-generation researchers in engineering of the National Research Foundation of Korea (NRF) funded by the Ministry of Science, (Project No. 2017H1D8A2030449).